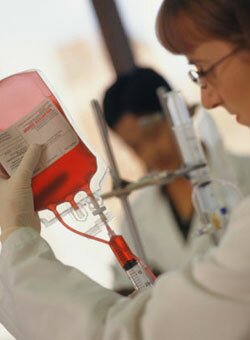 Are Blood Transfusions Safe in 2012? the patient receiving the transfusion. Blood transfusions can be lifesaving. However, it is important to be aware of the risks so that you can confirm the type of blood you are receiving and report any adverse symptoms as soon as possible. Are Bedside Medical Tests Safe?